Mary Ann and Ginger went on a three hour boating trip. It is highly unlikely that these two characters had enough clothes to never outfit repeat or be seen wearing the same thing twice; but that is what the viewers saw. You never see the two wearing the same outfit twice. 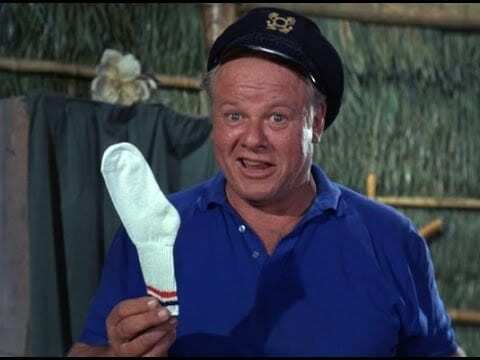 In the show, the viewers knew the Skipper as the Skipper, and it seems as though we never hear his real name, yet if you listen closely, the Skipper actually does say his name during the very first episode that aired in 1964. His full name was Jonas Grumby. When Alan died, his ashes were scattered at sea. “It’s what ‘The Skipper’ would have wanted,” a source said. 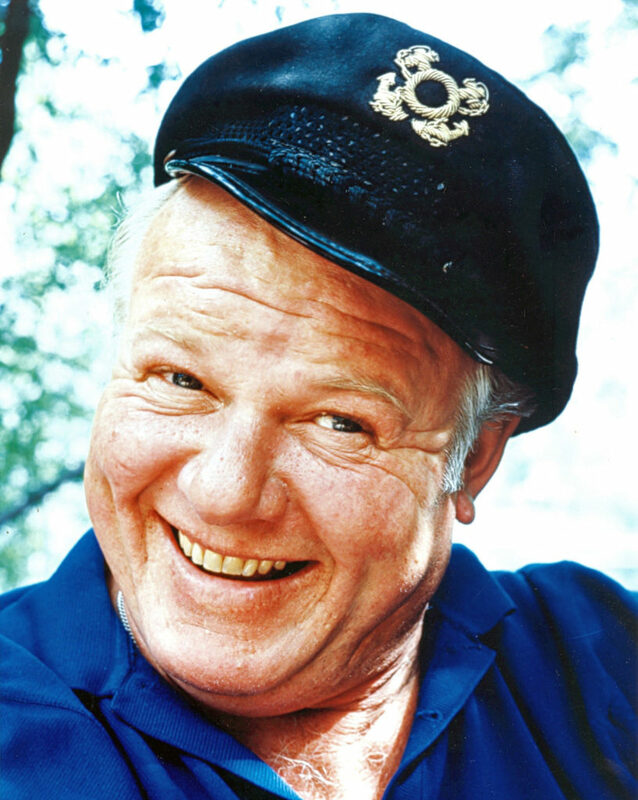 The Skipper, played by Alan Hale Jr. had a constant habit of calling people on set ‘little buddy’. 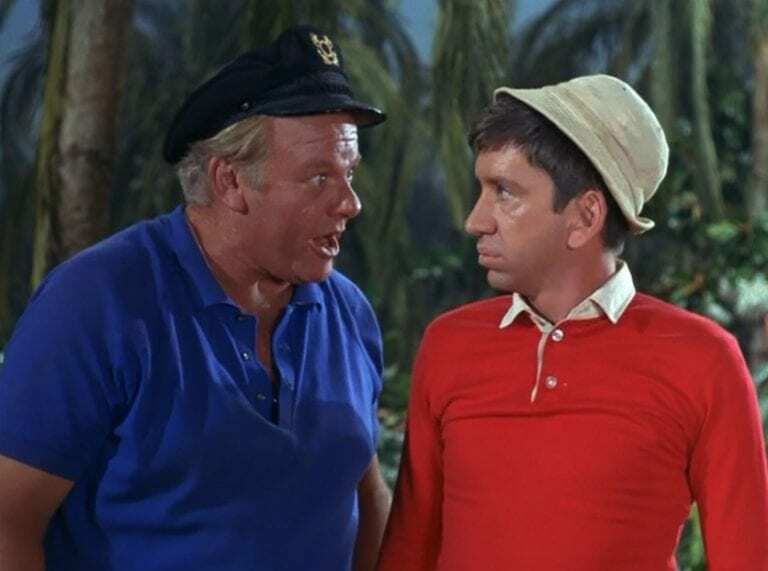 Due to this, it was then written into the script and the Skipper would call Bob Denver’s character, Gilligan, ‘little buddy’. It added to the Skipper’s kind hearted character as well. So all in all, the annoying habit had a purpose. 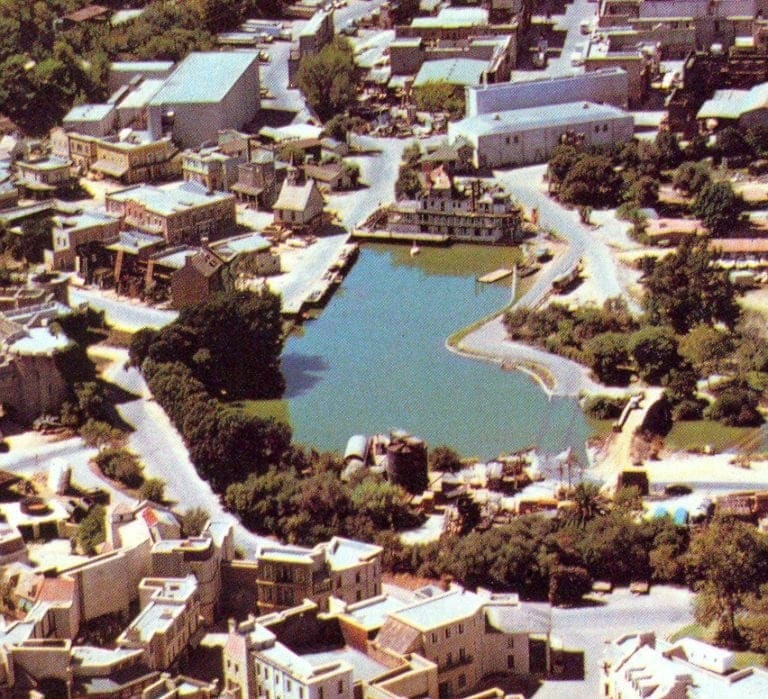 Within the first scene of the opening credits of the TV hit, the US flags are seen hanging at half mast. The reason for that was that the shooting of John F. Kennedy, occurred just before filming began. More specifically the show’s pilot episode finished filming on November 22, 1963 which coincided with the day President Kennedy was shot. Sherwood Schwartz, the creator of the show, hated Newton Minow, who, at the time, was the head of the Federal Communications Commission. 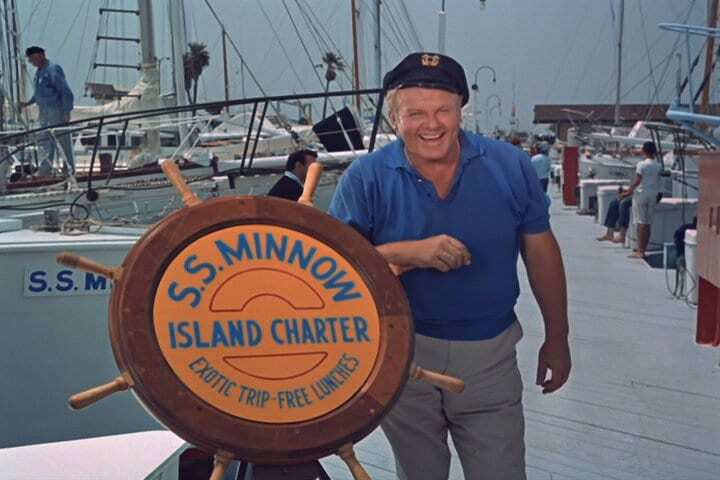 For his own amusement and private joke, Schwartz named the shipwrecked ship the S.S Minnow. We wonder if he ever caught on. This is a very good joke on Schwartz’s behalf. The cups the characters were drinking from during the first season were made out of real coconuts . However after that they used ceramic cups as the coconuts were getting spoiled too frequently. We bet you couldn’t tell the difference, we couldn’t either. Great work from the design team at that time. Dawn Wells and Tina Louise are the only stars still around sadly most of the others have died. These two are both well into their 70s and 80s. We sincerely hope they are alive for a long while to keep the memory of the incredible show alive for as long as possible. This picture shows the stars when they were alive, they aged well we must say. One of the biggest secrets that was kept during the whole show is one you want to know. So it transpired that Natalie Schafer who played Mrs. Lovey Howell’s wife, never told anyone her real age. The cast members, had no idea, the crew members knew nothing and not even the producers knew her real age. Eventually the “truth came out” and the discovery was as promised very juicy. 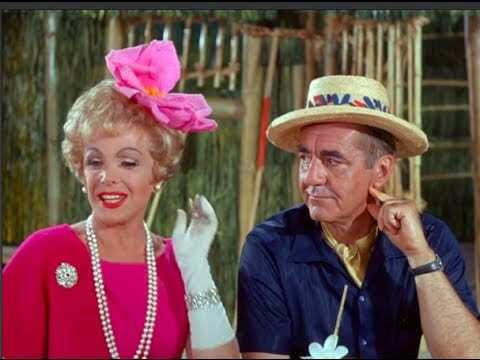 Schafer was 13 years older than her on TV husband played by Jim Backus. Schafer made it so clear that she wanted her age to be kept a secret, she had it say in the contract clearly that there were to be no close-ups of her so as to make sure no one would see one wrinkle, or be able to guess the 13-year-old age gap between her and her husband. Wow, she was determined to keep that under wraps. Quite the effort was made to keep that secret. 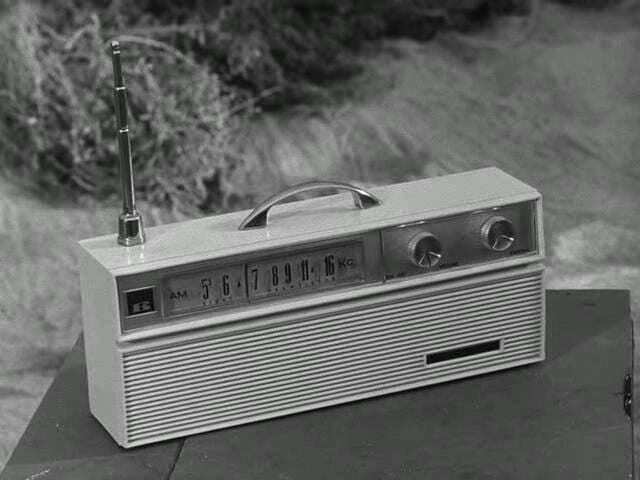 The characters in the show would receive radio transmissions through their Packard Bell AM radio. An additional telescoping antenna was there to make it more believable that the castaways would actually get long distance messages. However, the actual real model itself did not feature an antenna or even a handle. In each episodes, the characters would create objects from different things they discovered on the island. This meant that the crew and set team had to create crazy inventions to portray just what they were supposed to have made. We bet this was extremely fun, but probably very challenging at the time. Imagine arriving to your audition after a hellish journey. Alan Hale Jr.’s road to his audition for the show was a crazy one to say the least. First, he had to get on a horse from his other set in Utah. 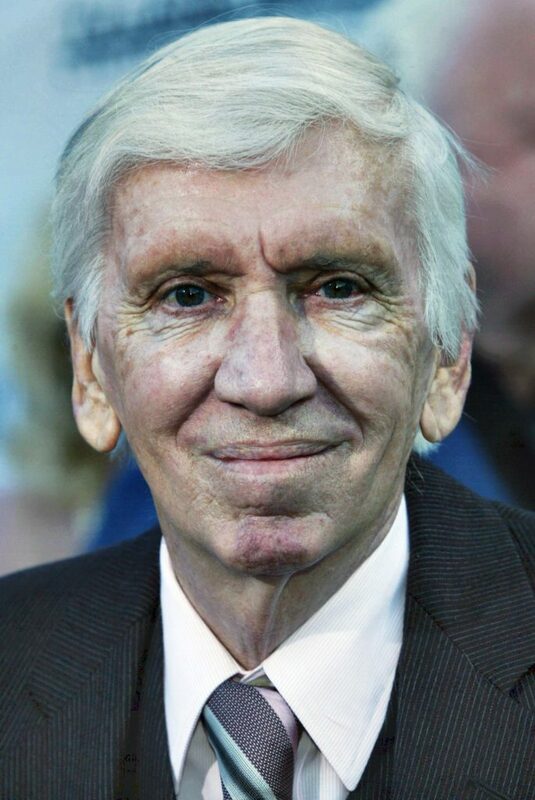 He then hitchhiked all the way to Las Vegas, and from there he caught a flight to Los Angeles to audition for the role of Bob Denver. Good thing that he managed to impress after all that, we couldn’t imagine anyone else in the part. Oh Mary Ann. Everyone at the time of the show airing had a mad crush on the beautiful actress. Men were in love with her, women wanted to be her. But there was much more than her looks and personality that made he unforgettable. It turns out that one of the skirts Mary Ann was wearing during the show, was sold later for… wait for it……. $20 thousand! Wow we wonder what the person did with it. Tina Louise who played the beautiful bombshell Ginger Grant, was one of the most memorable characters in the show. 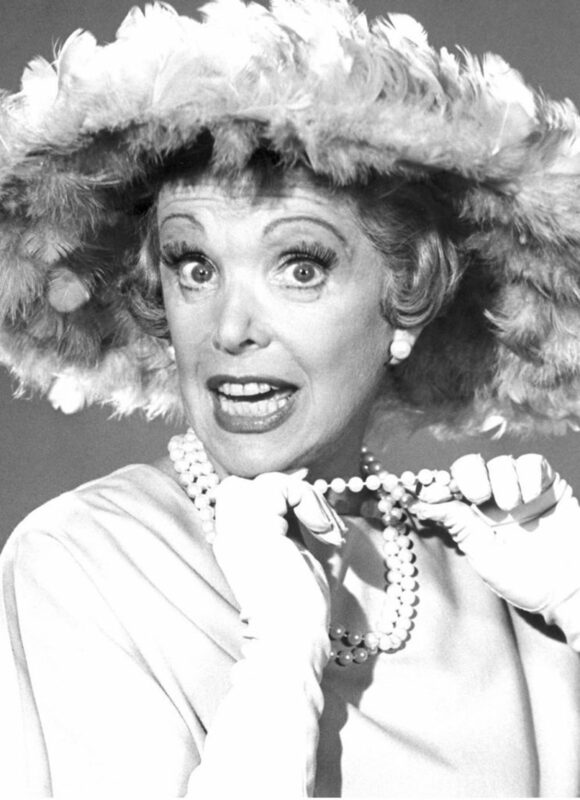 She was in fact so memorable, that after the show ended, Louise could not land any new role, because she was too identified with Ginger’s character. Louise even blamed the show for ruining her TV career. That must have been extremely hard. The cast of the show was so committed to their work, that each and every one of the main characters appeared in EVERY episode of the 99 episodes of the show (with an exception of maybe one or two episodes that did not include the whole bunch). We are so glad, it made the show what it is today. Los Angeles is known for its crazy amount of traffic, which is why when they filmed from the City Of Angels, they had to make sure that from the set no traffic could be heard. It often got in the way of filming and they would have to take breaks in order to make sure that there were no disruptions. Natalie Schafer admitted that one of the reasons she filmed the pilot episode of the show, was specifically to get a free vacation to Hawaii, where the show’s pilot was filmed. Later, when the show was picked up by CBS, she was extremely upset to learn that she would have to move to Los Angeles and not the exotic destination for the actual filming. 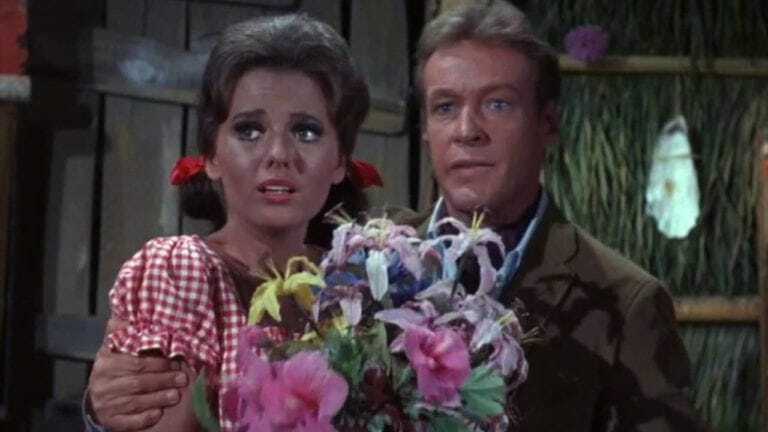 Marry Ann who was played by Dawn Wells, was known for having a terrible singing voice. So when the script stated that they all had to sing, she just mouthed along with everyone in order to make the singing sequences sound at least somewhat bearable and not like a cat dying. The producers even hinted that she should have gotten singing lessons, but she obviously didn’t take it very well. 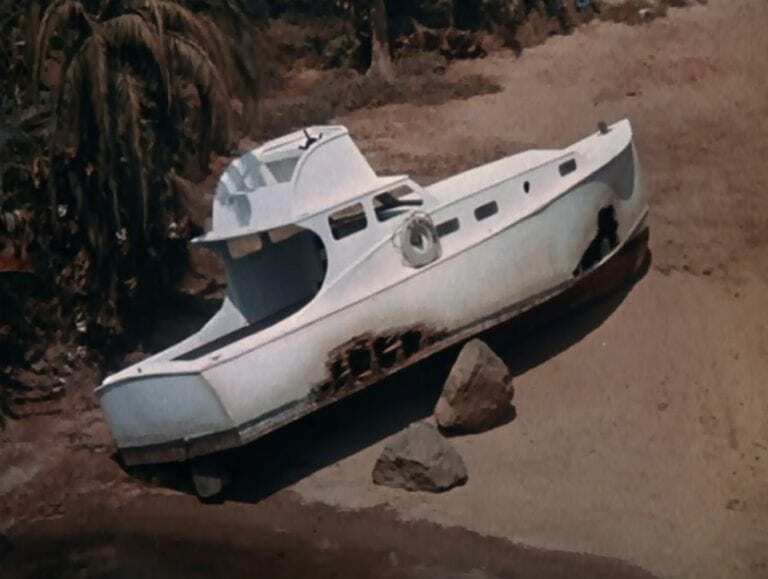 The professor was so handy with making things from stuff all over the island, but we bet fans wondered if he was so savvy, then how is it that he couldn’t fix the boat? Well, the obvious answer is because had he been able to fix the boat, the show would have been over. Everyone thought at the time that Alan Young was the favorite actor of the producers to play the role of Gilligan on the show. Many years later however, Sherwood stated that he had no idea who got that idea since he was never even thought of for the role. Chinese whispers always turn out wrong. In the beginning before the show aired, the producers had an idea to put a child in the show who would act as The Professor’s nephew. The idea didn’t end up coming to life however due to the fact that Gilligan was such a kid at heart, they didn’t really need one. Did you know that all three leading ladies of the show were each married for less than ten years. Maybe it was the show’s shooting schedule that did it? Or could have been all the adoring male fans who were lining up for marriage one after the other. Being an actress must have been very difficult on their personal lives. 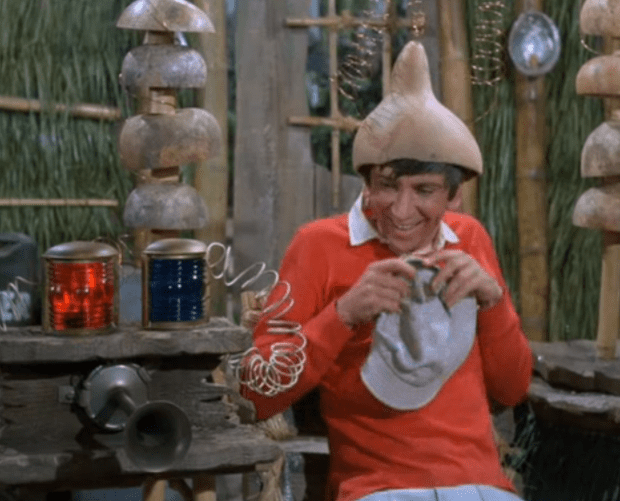 Gilligan was known for funny antics and constantly messing around, but also messing up. 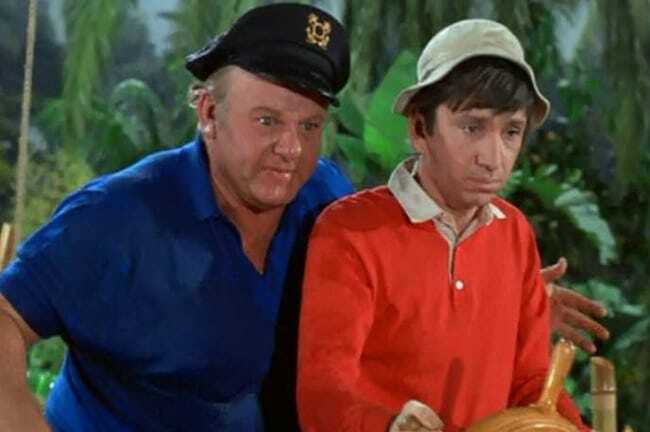 So your question might be then why did Skipper keep him around, despite the huge annoyance Gilligan obviously was to him? Apparently, the two sailor men go all the way back to their Navy days in World War II, when Gilligan saved the Skippers life, rescuing him from an errant depth charge. So there was a rare true bond there. 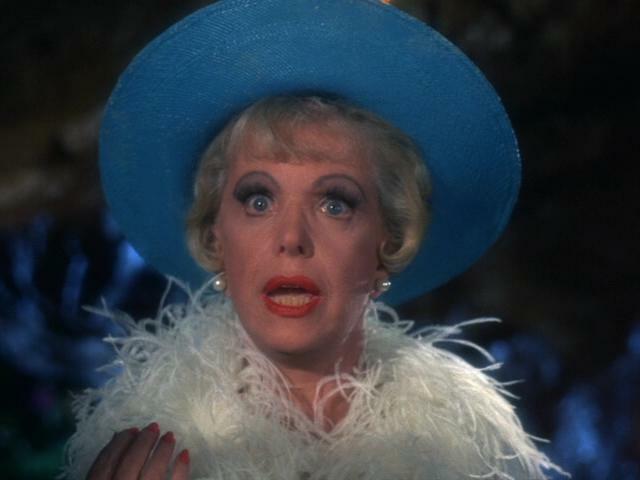 The actress who played Mrs. Howell, the wife of the millionaire Thurston Howell III, was it turns out, actually a real life millionaire off the set as well. She made her money by buying up dozens of properties on Rodeo Drive back when the houses there cost nothing. Clever investment. The prices on the street rose significantly, and she made a lot of money. 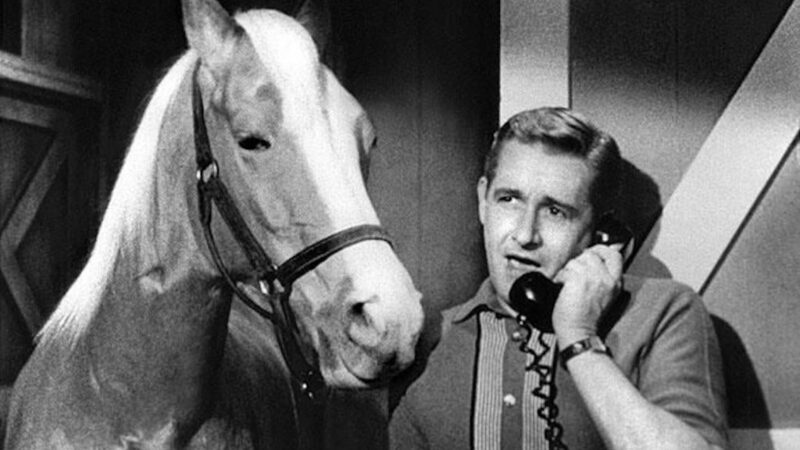 Even though the show was only on air for four seasons, its popularity reached all over the world. 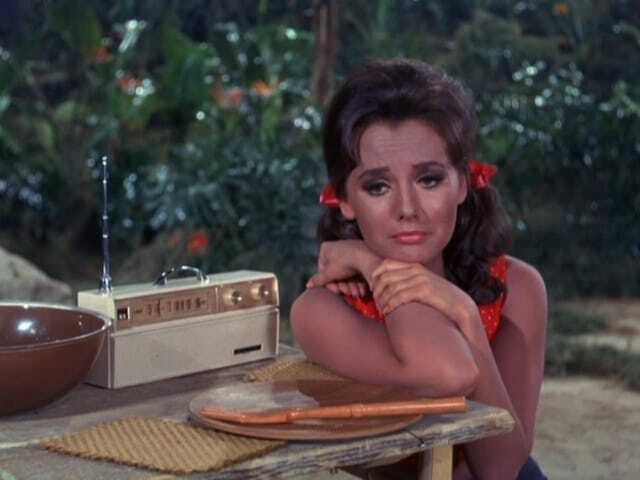 The cast tell the story that one day, as Dawn Wells was traveling in the South Pacific, she happened upon a tiny island inhabited by a tribe with no electricity, cars, or any modern technology whatsoever. But when she was introduced to the chief of this small fishing village, the chief’s eye’s lit up because he recognized her from Gilligan’s Island. During one of the episodes of TV’s hit series Alf, the alien had a dream that he was actually stuck on Gilligan’s island with the entirety of the original Gilligan’s Island cast and crew. 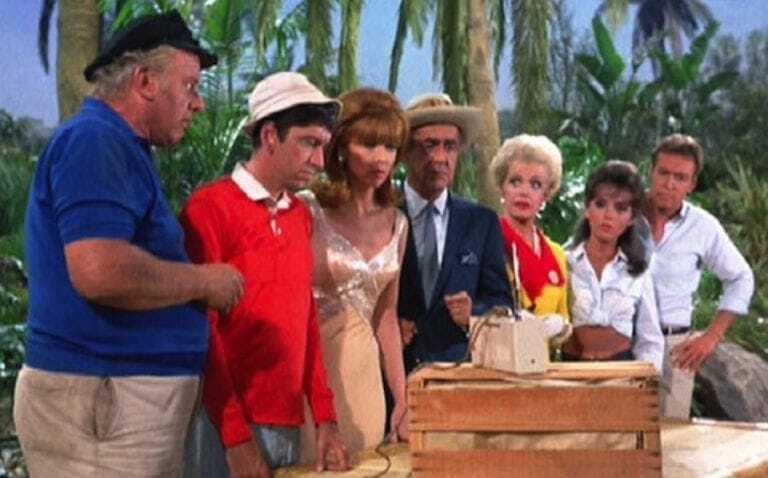 It was a great cross over special, and everyone from the original Gilligan’s Island cast was on the show. This included Alan Hale Jr, Dawn Wells, Russell Johnson, and even Bob Denver making an appearance. The pilot of the show was actually very different to how the show itself turned out. There were even different characters. For instance, the two women were supposed to be a high school teacher and two secretaries. The networks believed that the pilot would have confused people so much that it was not re-broadcast until 1992, when they thought people could handle the change. 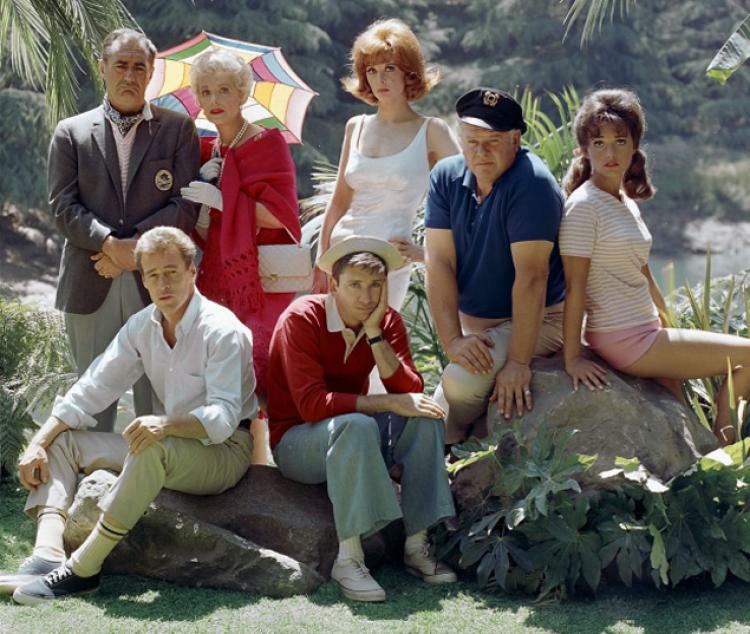 Gilligan’s Island was so popular that it even became a cartoon, like many other popular shows. The show actually became two different cartoons. 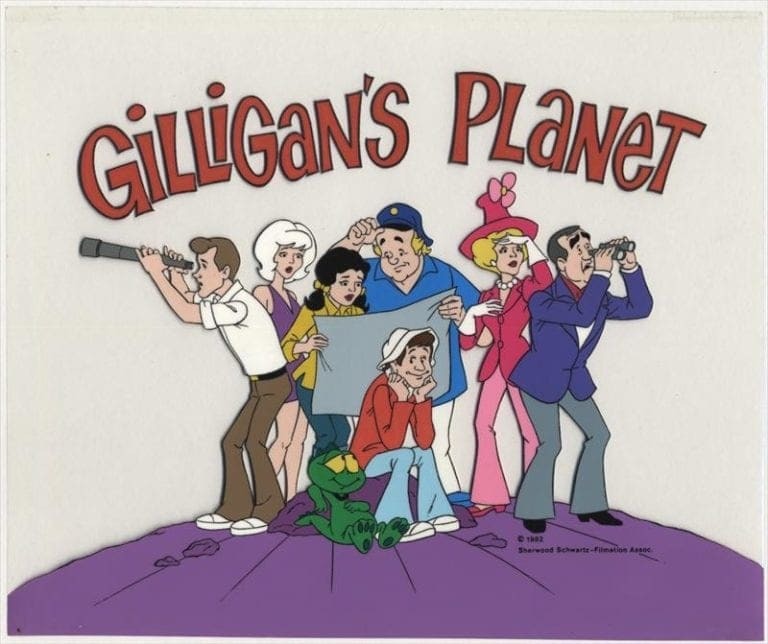 One was Gilligan’s Island, but just in cartoon form, while the other one was Gilligan’s Planet, which was the same exact premise as Gilligan’s Island, but just set in outer space. We wonder if they ever thought of making the space cartoon real. The role of Ginger has been played by six different people, even though mostly it was played by Tina Louise. This of course is taking into account the television show, the TV movies, and of course, the animated series. 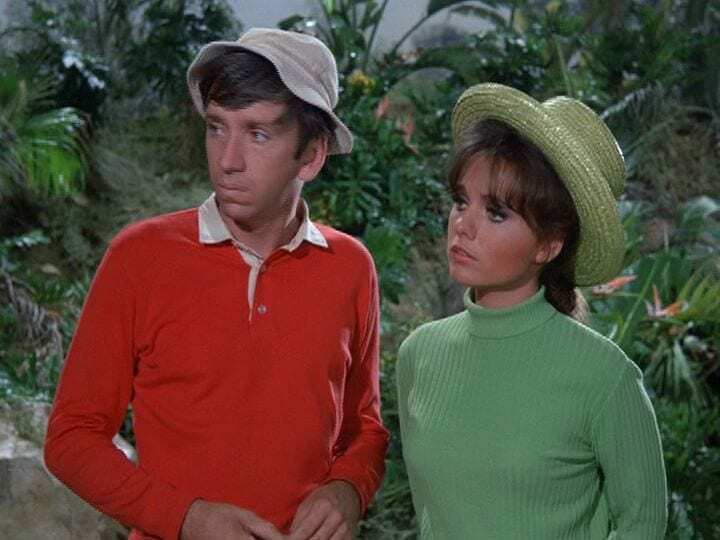 What is really interesting, is that in one of the Gilligan’s Island cartoons, Gilligan’s Planet, Dawn Wells voice acted for both Mary Ann as well as Ginger. She just couldn’t get enough of the role. 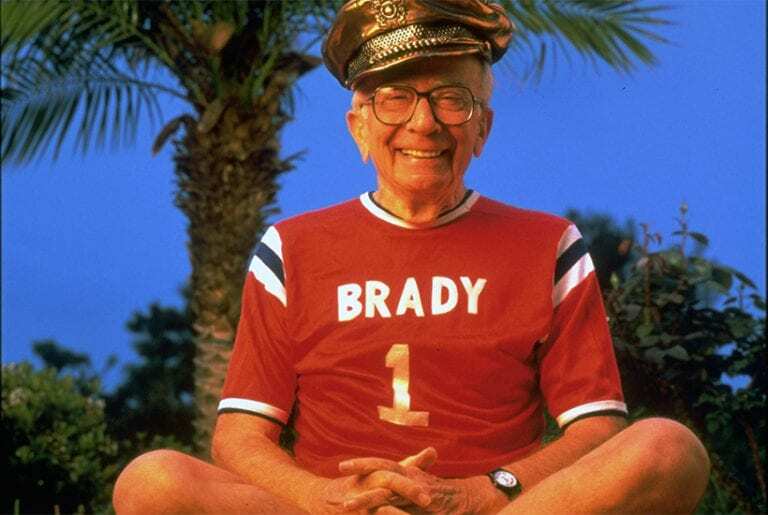 Sherwood Schwartz was the producer for Gilligan’s Island. When Schwartz went to CBS to speak with the president of the station Jim Aubrey to pitch the show, Aubrey was not excited about the idea and didn’t know if it could work. 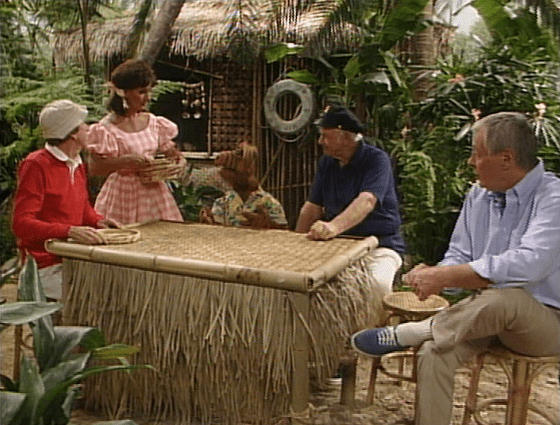 Jim Aubrey’s main concern for this idea was that audiences would end up getting bored due to the fact that Gilligan and the rest of the castaways never got off the island. 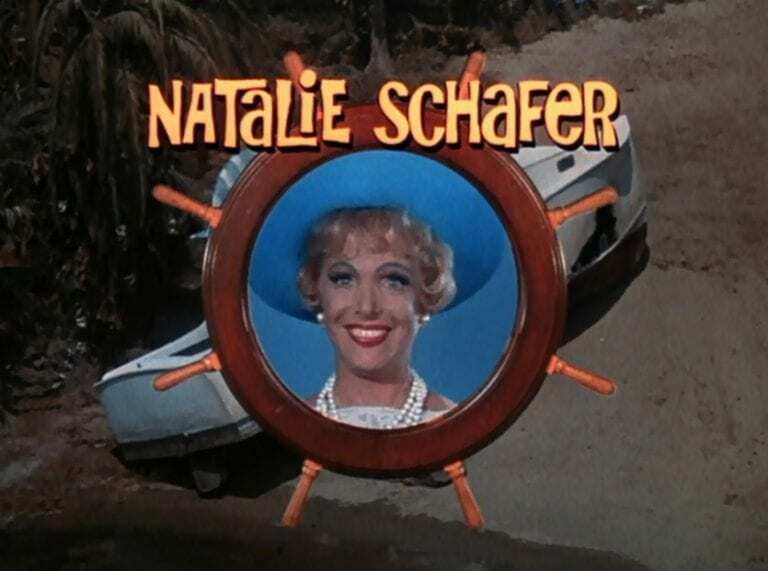 Despite being a millionaire both in real life and on the show Gilligan’s Island, Natalie Schafer actually did all of her own stunts. Wow that is incredible. Even at 65 years of age at the time, and it really makes what she did incredible. She did everything from fall and sink into quicksand to even fall into the lagoon. That is a go getter if you ask us. What a risk taker Nat. Dawn Wells did the best financially out of any of the cast members from Gilligan’s Island. Her husband at the time was a TV show agent and cleverly told her to add a clause to the fine print of her contract saying that she would continue to receive royalties for any syndication the show earns. Considering that the show is still played on daytime television from time to time, Dawn continues to get cheeky checks from her work on the show. Dawn Wells was not originally the first choice to play the role of Mary Ann. Instead, that role was supposed to go to 1960’s acting sensation and every guy’s crush Raquel Welch. However, in the end, she decided not to take the part. This may have actually saved her career, as not a single one of the cast members were able to get major roles in television ever again, as they were all associated with Gilligan’s Island. Everything happens for a reason Raq. 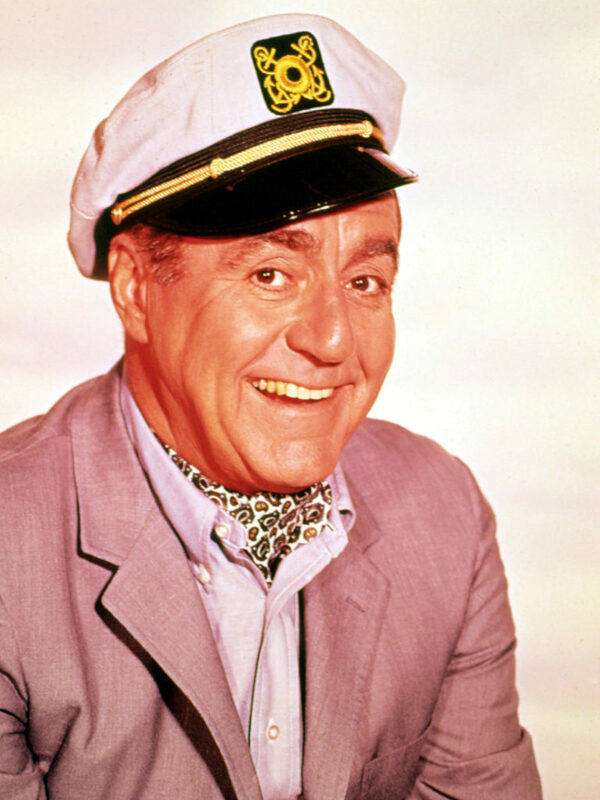 Jim Backus’ character, Thurston Howell III, was a reference to Sherwood Schwartz’s show, The Alan Young Show. Backus would also play the character of Hubert Updyke III. Also, when Sherwood was pitching the show, he said, “the island would be a social microcosm and a metaphorical shaming of world politics in the sense that when necessary for survival, yes we can all get along”. Jim Backus may have played a millionaire but he was known on set for being a real cheap skate. 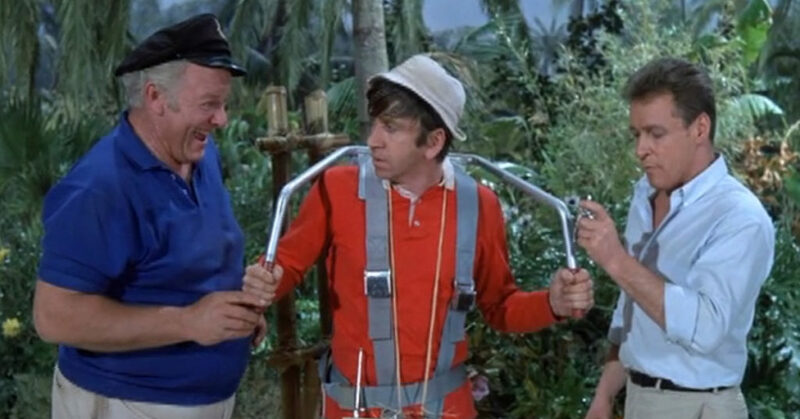 There are multiple stories of Backus going out for lunch or dinner with the Gilligan’s Island cast and coincidentally “forgetting his wallet,” so forcing one of the other cast members to pay for his meal. He did this so often that the entire cast and crew would tease him about it. Tina Louise was quite the prima donna while acting on Gilligan’s Island, and forced the cast and crew to make numerous exceptions for her during filming. This caused a stir and frustrated the cast members. Perhaps it is due to the fact that she was misled as to what her role would be on the show by her agent. Her agent said that she would be playing the part of a movie star on a castaway island, but she did not seem to realize that the show was not about HER. 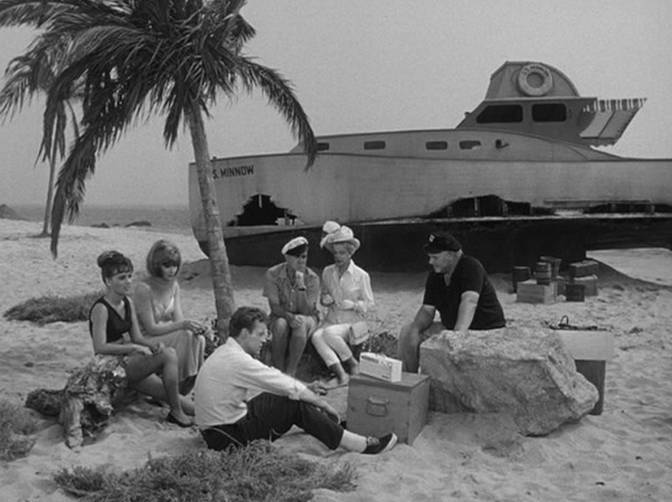 Each one of the characters on Gilligan’s Island was cast in order to convey a certain type of American society at the time. It is one of the main reasons that the men are referred to by their professions as opposed to their actual names, in order to represent a particular aspect of society. 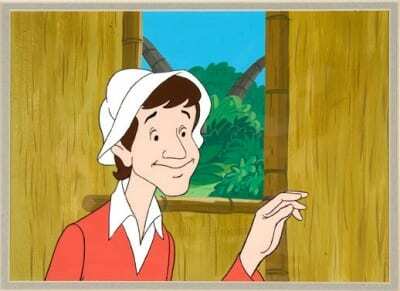 Except of course, for the loveable, all around good guy Gilligan. He was just the best wasn’t he? 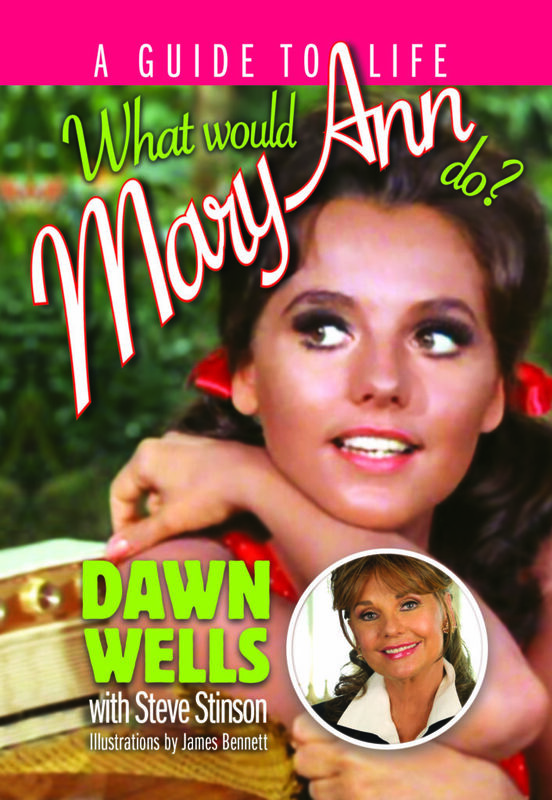 Dawn Wells who played Mary Ann, wrote a book called What Would Mary Ann Do? The book is part memoir and part self help book, along with having a wealth of stories about what it was like while the series was being filmed. The book is written from the perspective of Mary Ann herself, and includes all sorts of advice from a star eyed girl from 1950s Kansas on the trials and tribulations of modern society. Dawn Wells knew she needed to stick out in her role, especially in relation to how she looked compared to Tina Louise. Dawn is a lot shorter than Tina and needed to show off her lean pins. So, she made her own short shorts in order to show her body off more. Networks would not let anyone at that time show off their navel. To fix this, Dawn simply sewed on an extra piece of fabric to hide it. Dawn Wells was in her hometown of Driggs, Idaho coming back from a birthday party being held for her by the mayor of the town. As she was driving home, she started swerving a bit, and a sheriff’s deputy pulled her over. The sheriff asked to search the car, and upon doing so found three smoked cigarettes with controlled substances in them. She was then placed in lockup, and her reputation tarnished. 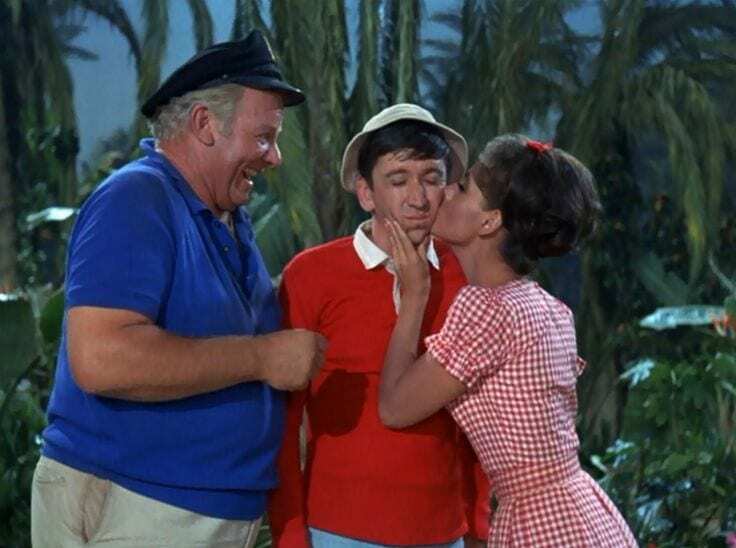 One of the reasons that Gilligan’s island is still so popular today is due to the fact that the re-runs of the show have been broadcasted for the past 50 years, enabling three generations of Americans to enjoy the show. However, it turns out that in the beginning, the producers of the show did not think that the show would ever have its reruns played on television. We can not believe how wrong they were. Dawn Wells was crowned Miss Nevada in 1959 and received a college scholarship. She went on to study theatre at the University of Washington before moving out to Los Angeles to start out as an actress. She knew she wanted to be in Hollywood, but the competition was fierce. The fact that she was very attractive, focused, and a good actress helped her achieve fame. While the world was discussing who they preferred over Ginger or Mary Ann, real life Dawn and Tina Louise (who played Ginger on the show) were actually quite close friends. But before that, Dawn was actually star struck by her. At the time, Tina was a huge movie star while Dawn was still relatively unknown. But soon, Dawn’s shyness around Tina turned into true friendship. 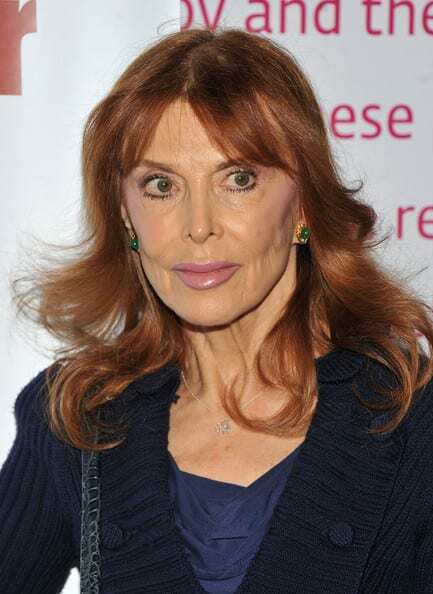 Tina Louise lives in New York now and is still in the spotlight when she performs in Broadway musicals. But when she is not acting, she is a volunteer teacher in the New York Public School System teaching second graders. She walked in and nearly every single student recognized her as Ginger from Gilligan’s Island due to reruns of the show being played so much. It is great how the show has still moved through the times and is still popular. 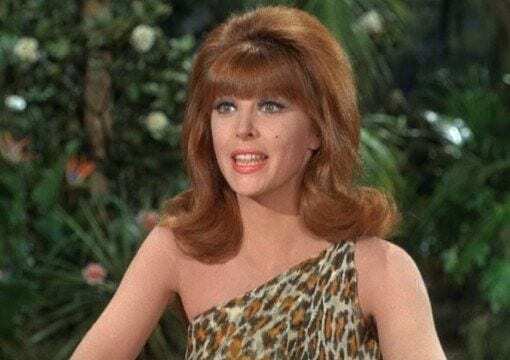 One of Tina Louise’s favorite episodes to film was an episode titled “All About Eva.” The premise of the episode was that a young red headed woman washes up on the island. She looks absolutely terrible, so Ginger helps the woman known as Eva and gives her a complete makeover. 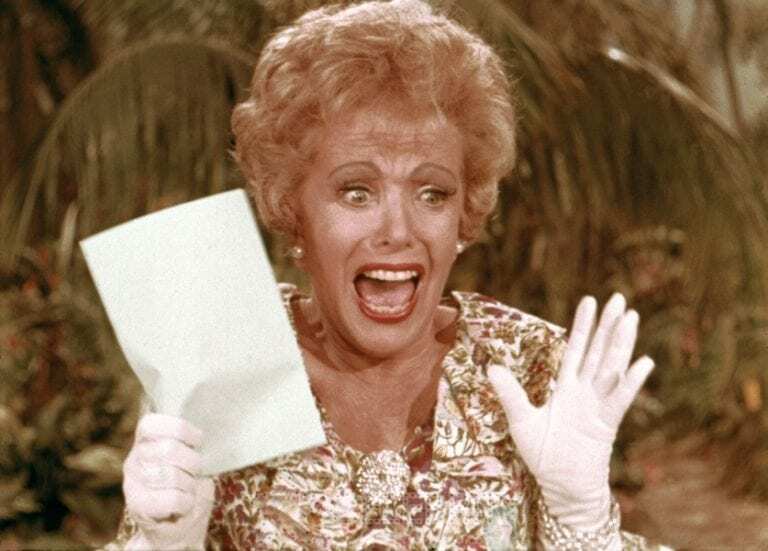 At the end, Eva leaves the island and pretends she is Ginger back in Hollywood. Louise loved filming the episode because she played both women. Could this be the idea for the premise of parent trap? 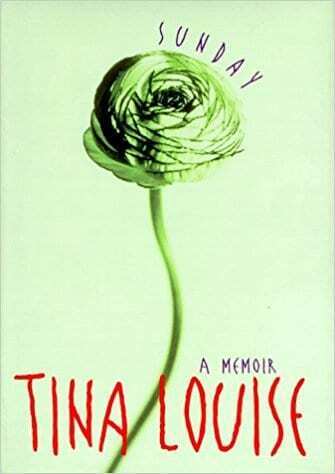 Tina Louise wrote a book titled Sunday. The book is a collection of her memoirs which deal primarily about when she was a young girl between the ages of six and eight when her parents sent her off to go learn at a boarding school. She says that she wants her book to help teenagers who are not in school and who are having children at an early age. 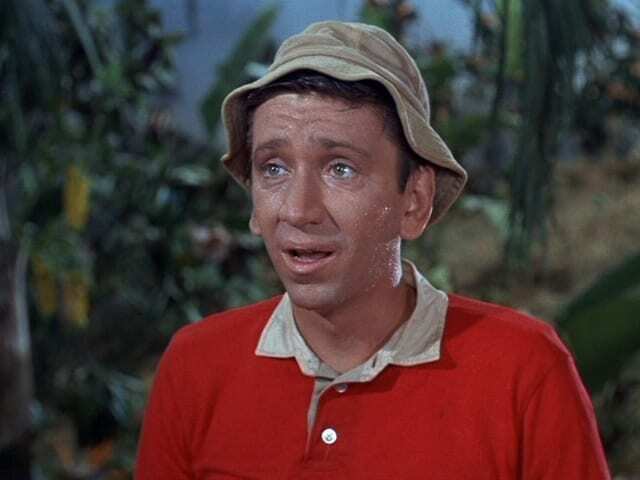 Bob Denver who played Gilligan and most of the other crew did not become big stars from Gilligan’s island. In fact, most of the cast only retained the residual rights until 1968. This is because none of the actors thought that the show would actually be as big as it was, they just thought that it would be a fun thing to do to put on their resume. Everyone except for Dawn, who made sure reruns were mentioned in her contract. Tina Louise was a bit of a Debbie Downer. She never enjoyed hanging out with the rest of the cast, and was never around for group interviews. This may have been because she did not want to be typecasted as Ginger. 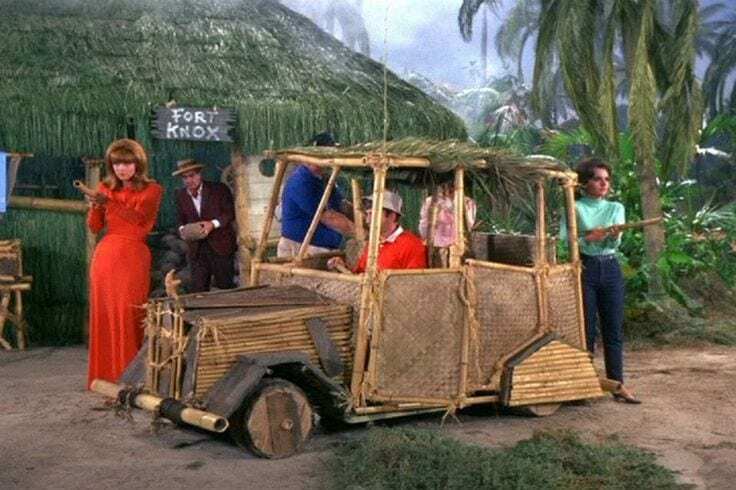 One of the big issues that many of these actors encountered when they left the island was that many TV and movie producers were worried that the audience would only be able to see the actors as Gilligan’s Island characters. She did not want to harm her career. Mary Ann and the Professor? There has always been word on the grapevine that there was something romantic between Mary Ann and the Professor, and millions of Americans waited each week to see if something would happen. However, it turns out that the TV show’s producer Sherwood Schwartz wanted to keep the show as family friendly as possible. Therefore, there was absolutely no love interest between the Professor and Mary Ann. 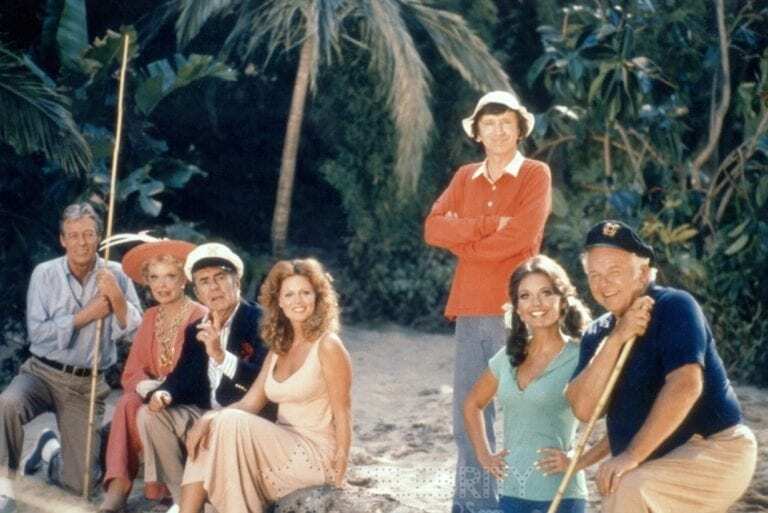 When CBS redid their show line up, Gilligan’s Island sadly got cut. Their ratings were low by then and the network thought the show would be able to do well in a a less expensive time slot. 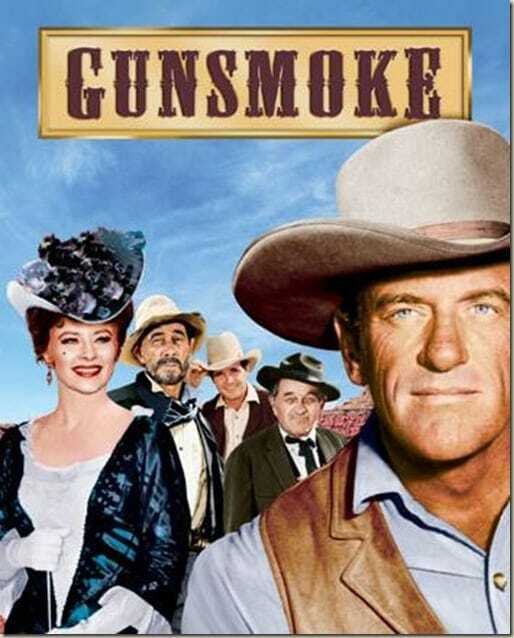 However, network executives ultimately cut out Gilligan’s Island altogether for the series Gunsmoke. Bad move if you ask us. in 2016 #RipBobDenver hashtag was trending, bringing up fan tributes from around the globe. This brought a lot of hype back around the show, and even made people who didn’t know anything about it, become interested. Even though he had died ten years earlier. Social media can be strange, who knows what will trend tomorrow, but at least it kept the show alive a little longer, which can’t sadly be said for Bob. 79-year-old actress Dawn Wells has fallen on hard times and is seeking financial assistance from her fans, according to a GoFundMe fundraising page set up by a friend of the star. According to the page, she needs $194,000 to help with her ‘hospital costs’ after ‘breaking her knee which required hospitalization for two months. It stated that Dawn lost her savings after 2008 due to the ‘banking crash’. They also claimed that her 2017 surgery ‘came close to killing her’ and that the Bonanza actress ‘needs to move to a smaller more manageable assisted living situation, hopefully in the motion picture home that she likes.’ ‘I’ve found myself with no home, husband or kids.’ ‘I thank god everyday that I have friends and fans who care or this whole thing would be too overwhelming!’. We hope that she receives the help she needs.